Nixing Wheat? You Still Have Options. Wheat isn’t for everyone. And whether you’re avoiding wheat for medical reasons or simply changing your eating habits, there’s a ton of planning that goes into successfully maintaining a wheat-free diet. The good news is that your local Chick-fil-A restaurant has you covered for every meal of the day. 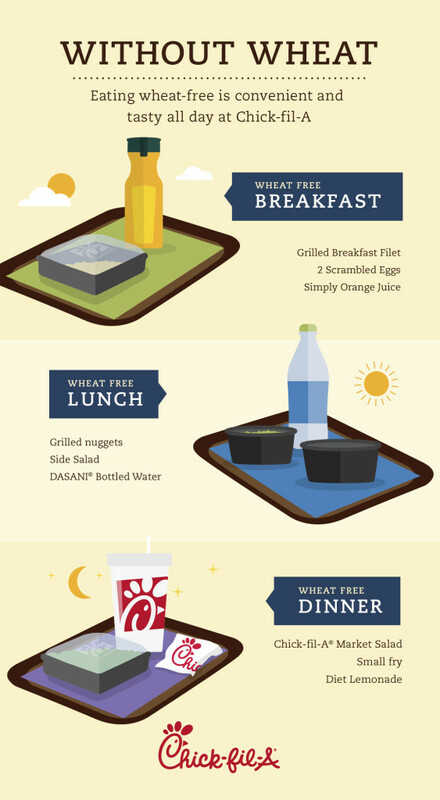 And while we’re talking diets, be sure to also check out our other suggestions for meals at Chick-fil-A, whether you’re eating fewer calories or packing more protein into your day. Which state eats the most Chick-fil-A Nuggets? On Thursday, March 29, the first Chick-fil-A restaurant in Lower Manhattan opens in the heart of the Financial District. Located at 144 Fulton Street between Broadway and Nassau, the restaurant was designed to serve the downtown community and a variety of guests’ needs.